Step1：Glue cotton balls to the paper plate until the paper plate is completely filled in with cotton balls. Step2：On the back of the construction paper, draw an oval with two smaller ovals attached to form the sheep's head and ears. Step3：Cut out the head and ears, turn it over and glue two googly eyes to the front. Draw a nose and mouth on the sheep's head and then glue the head to the paper plate. 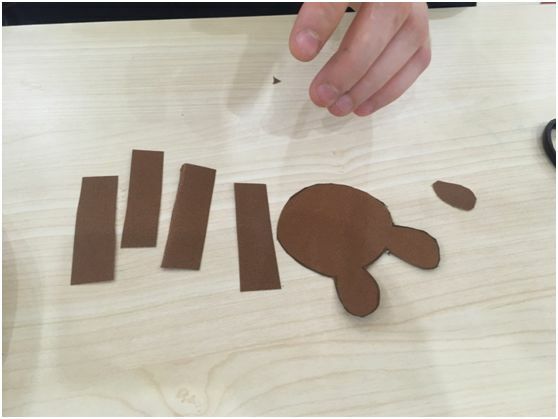 Step4： Cut four rectangles from the construction paper to make the sheep's legs. Glue them to the bottom of the plate. Step5：Cut out a small oval from the black construction paper, and glue it to the back of the sheep to form the tail.